Hand made. Hand polished. Hand finished. Lost wax casting method at the Seawear studio. 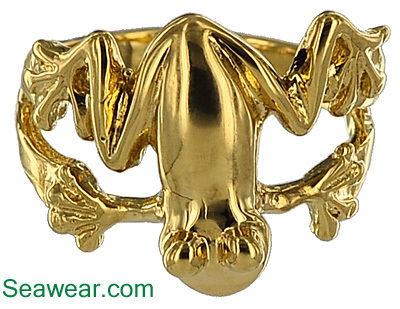 This is cast in a size 7.5 and can be sized up or down, now or in the future by your local jeweler. 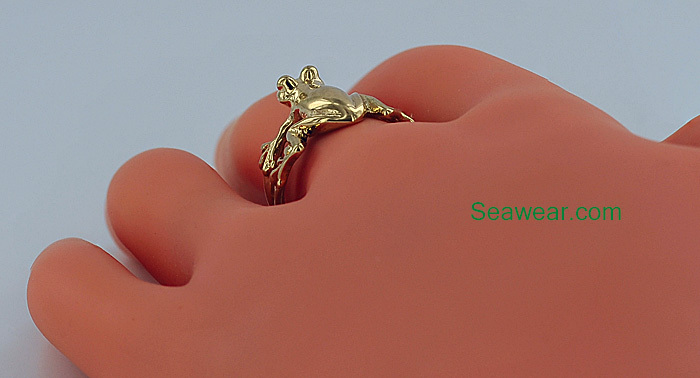 Now, if you have already found your prince or choose to find your own, wear it with the frog facing you. It is your reminder. 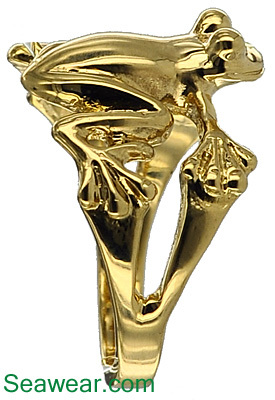 If you are on the prowl or want your prince to find you, wear it facing outwards towards the prospective frog to prince candidates!